We're about to see a lot more of the Clintons, according to Axios. After laying low for 18 months, aside from Hillary once again insulting half of America and slip-sliding down a flight of stairs hours later, the former first family will be making a bona-fide attempt to rise from the ashes and jumpstart the Clinton Foundation ATM - despite the FBI launching a new investigation into the organization in January. 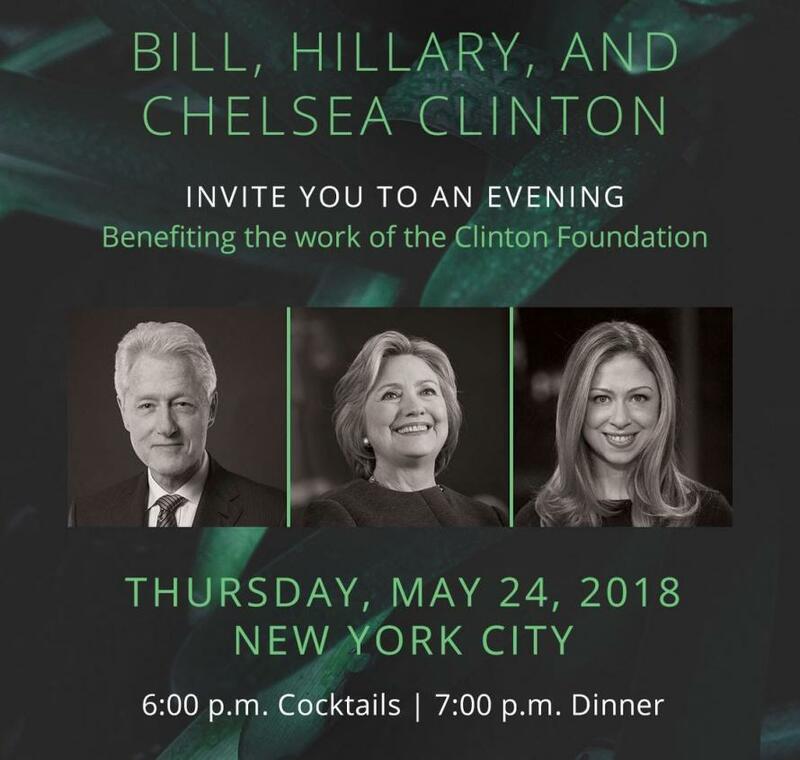 Last week, longtime Clinton supporters received an invitation offering access to the family at a May 24 Clinton Foundation benefit in New York, shelling out between $2,500 ("Friend") for a cocktail party and dinner, up to the $100,000 ("Chair") level which buys a "Leadership Reception for two, a premium table of ten, program recognition as a Gala Chair and invitations to the Clinton Foundation Annual Briefing." Meanwhile, Hillary Clinton is leading the first meeting of her Onward Together political group on Monday on New York's Upper East Side - in which she and Howard Dean will welcome 11 partner organizations for a day of "about harnessing the energy and activism post-election." Of course, not all Democrats are exactly excited to see the Clintons regroup - as Axios reports "plenty of top Democrats we talk to would prefer new energy and faces to Clinton nostalgia/redemption." 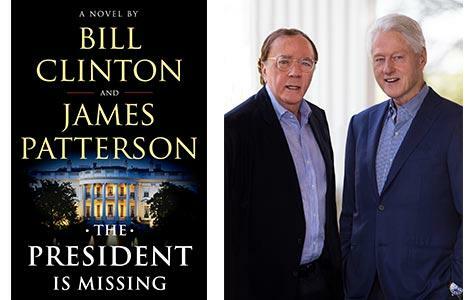 Then there's Bill Clinton - who is publishing a novel on June 4 co-authored by thriller writer James Patterson, titled "The President Is Missing." Clinton and Patterson will appear together at BookCon on June 3 at the Javits Center in New York. And don't try to get tickets - they're sold out. Not to worry though - the pair will be embarking on a multi-city book tour in June, both together and separately, while an eight-part series is scheduled for Showtime sometime in 2019. Chelsea Clinton, meanwhile, is doing her part for the Clinton Comeback™ with her astounding Twitter game. Hi @amychozick! Hearing there are more tidbits about me in your book which were easily fact checked and you fact checked...none of them. Here’s an easy one: I’ve never gotten hair keratin treatment. The others would have been equally easy! We wonder how many GOP consider this a gift?